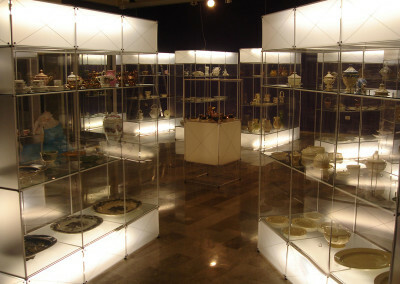 We pay special attention to managing exhibitions since each of them is an unique and individual experience. 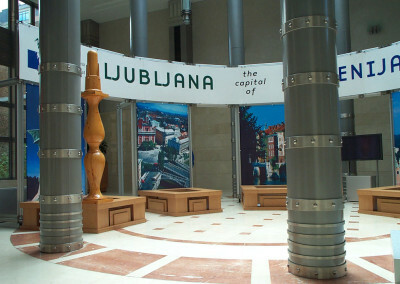 The concept and layout are chosen on the nature and the character of the exhibits. 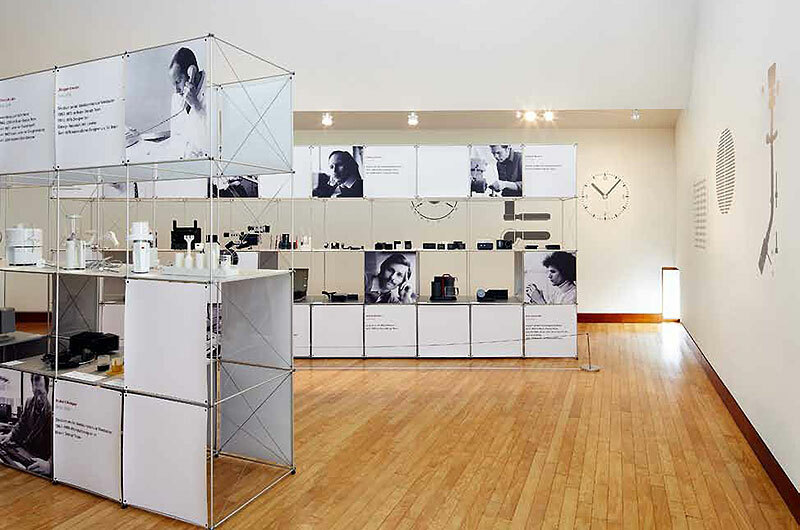 Our showroom systems are portable and very flexible, which makes them suitable for any exhibition venue. 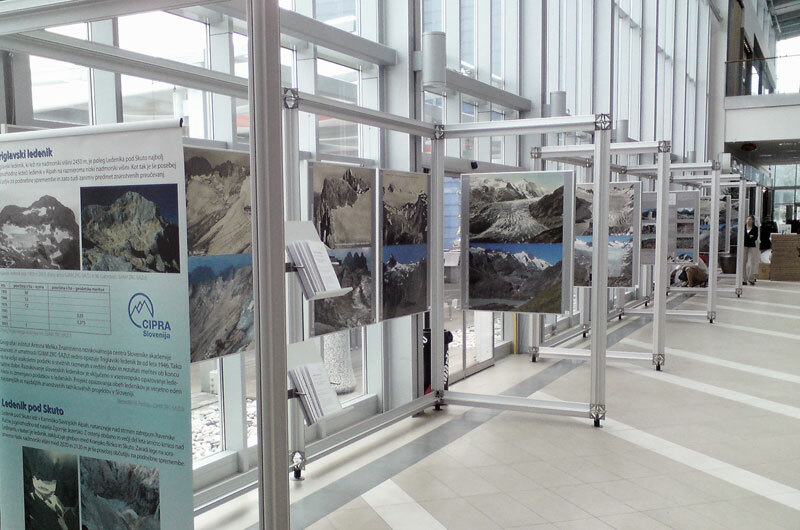 We offer also systems for permanent exhibitions, galleries, museums and entry lobbies in commercial buildings. 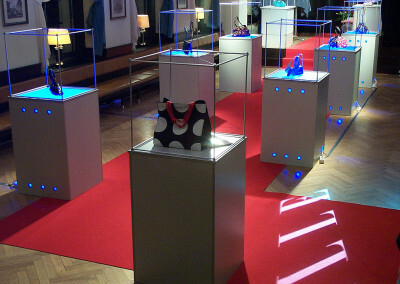 Exhibitions of products are a unique challenge, since the products must be exhibited in their best image. Small items especially need to be displayed on the right height and under a good lightning. In Kobi Interieri we are solving that kind of challenges with lightweight modular systems that enable hidden interior lighting and provide additional surface for graphics and texts. Works of art and canvases require more attention. In addition to good positioning and the right lighting it is also very important to protect the exhibits from damage and touching. Smaller pieces are protected in glass or under acrylic domes while larger ones have their accessibility limited. 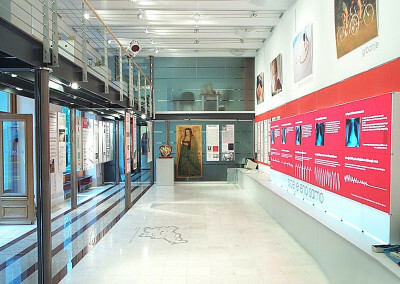 Despite the absence of exhibits may the informative exhibitions be very colorful and interesting. Combinations of texts, photos and other graphics brings us closer to the thematics and makes it engaging for understanding. 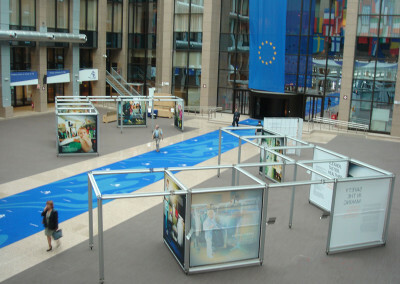 Recently such exhibitions occur also outdoors – in parks, promenades, atriums and courtyards of commercial buildings. 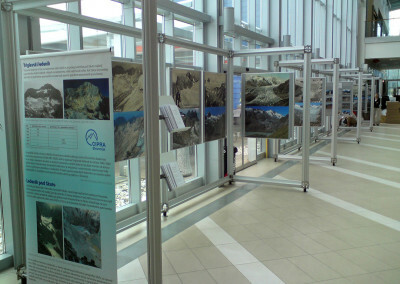 Are you organising an exhibition? 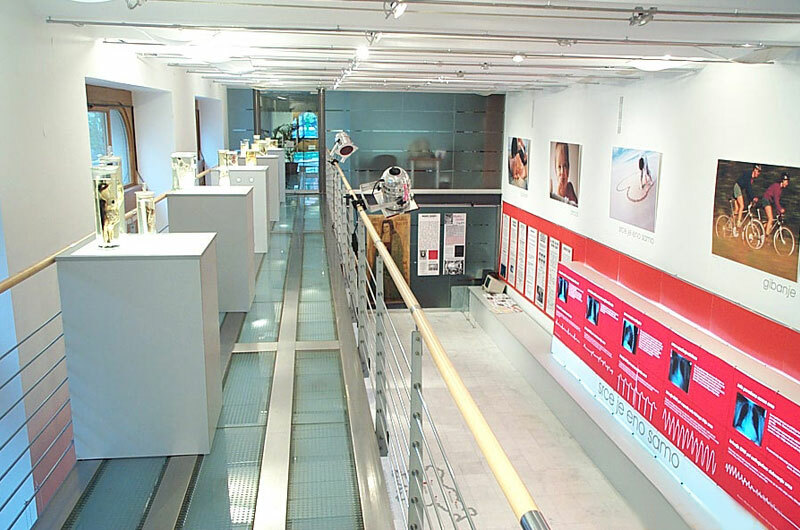 If you are planning to organise art, educational or sales exhibition, we are the experts of exhibition management and we can manage the whole project for you. From an idea and a layout to making sure that you are satisfied with the final appearance. In the implementation process we can take control of complete works, coordinate various operators, exert control and manage your exhibition for the best possible use of resources. Take a look at our most recent projects. We believe this is the best proof our capable and experienced team is able to successfully tackle any exhibition management challenge.